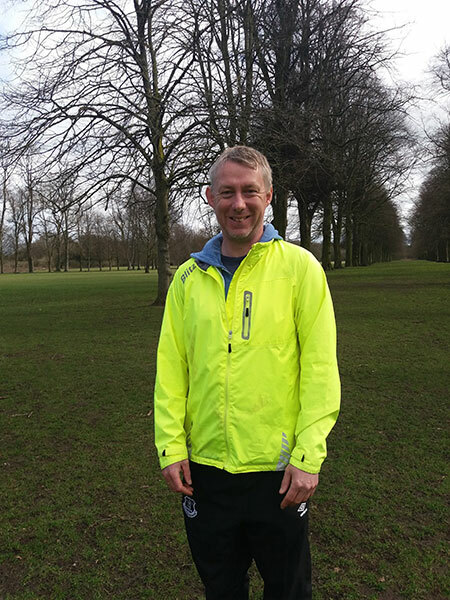 Simon Birdsey is planning a big personal achievement in July: he will be involved in the Northwich Festival of Running. For many, this would be a normal way to stay fit. For Simon it will be much more than that because the 42 year old suffers from agoraphobia and a panic disorder and the idea of doing such a thing in the past would have been unthinkable. The fact Simon is taking part for the second year in a row after his mental health improved partly down to his involvement in the Natural Health Service. It has been developed by the Mersey Forest to improve residents’ health and wellbeing using the great outdoors. Cheshire West and Chester Council has invested £427,700 over a four year period from 2016-2020 to get more than 3,000 residents active and looking after their mental health. Following a survey of participants, results to date show significant improvements in their health: an 83 per cent increase in walking and a 12 per cent increase in wellbeing. The service makes use of Cheshire’s green spaces, woodlands and parks as a place in which to improve residents’ mental health and increasing their physical activity. It has given Simon a new lease of life and is helping many other residents become fit and healthy in the great outdoors. Five courses are offered: Health Walks, Gardening for All, Mindful Contact with Nature, Forest School and Healthy Conservation. Simon completed the 10 week Mindful Contact with Nature programme at Marbury Country Park, Northwich. It involved people connecting with nature, improving physical health and reducing stress. Simon added: “It's been great to take an hour each week to clear my mind of any problems or worries and to slow myself down. It's given me the chance to really notice the birds singing and the sun shining through the trees. “Learning about tai chi and mindfulness has inspired me to want to try other things and, after the sessions, I've started jogging along the Run England routes that are marked out around the woodland. I'll hopefully be taking part in the Northwich Festival of Running in the summer. “The tai chi sessions have helped me to feel more confident in Northwich Woodlands and I'll hopefully be able to just focus on the running this time and not thinking about how quickly I can escape if I panic. As the country marks World Health Day on April 7th, the Natural Health Service is helping to change other people’s lives too: a person with asthma has reported improved breathing, others have improved their posture, strength and balance, and another person with anxiety issues said they felt a greater sense of calm from being in the fresh air with the group. Ian Ashworth, the Council’s Director of Public Health, said: “We know that poor mental health is an increasing problem, particularly among our young people. By 2030 it will overtake chronic illness as the most prevalent cause of poor health. It has been labelled the ‘hidden epidemic’. “Along with the strong partnership, our work with academics is a key part of the Natural Health Service. Two PhDs currently work alongside the delivery of services, providing independent analysis of the programmes and insight into how we continue to improve delivery. Our work has been seen as “leading edge” and ground breaking. The Northwich Festival of Running is on Sunday 8th July. It is a day of family entertainment based around three races along parkland trails in Northwich.